Consistent snow on N facing slopes began around 9000'. 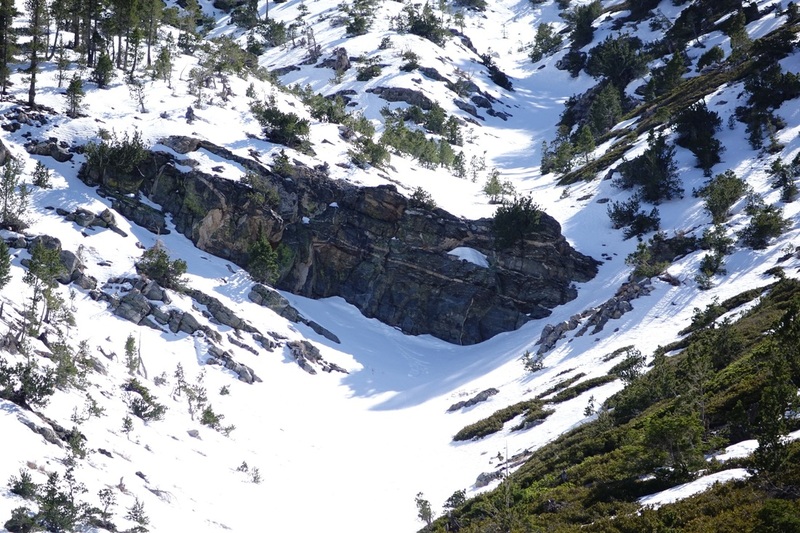 Snowpack was solid and still deep on north facing chutes and gullies around 10,000'. 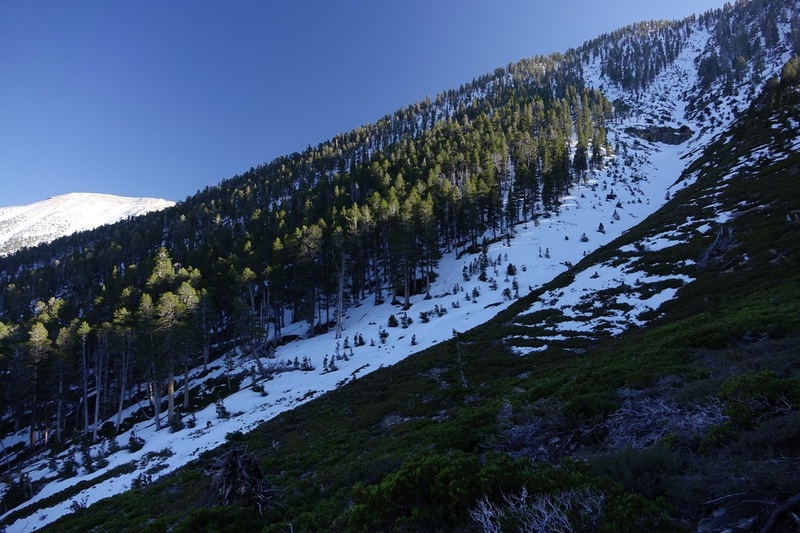 Above the treeline was melted out due to lack of shade. Best bet: get as high as you can where there is still significant tree cover.